We let your privat event or business trip become a special experience. 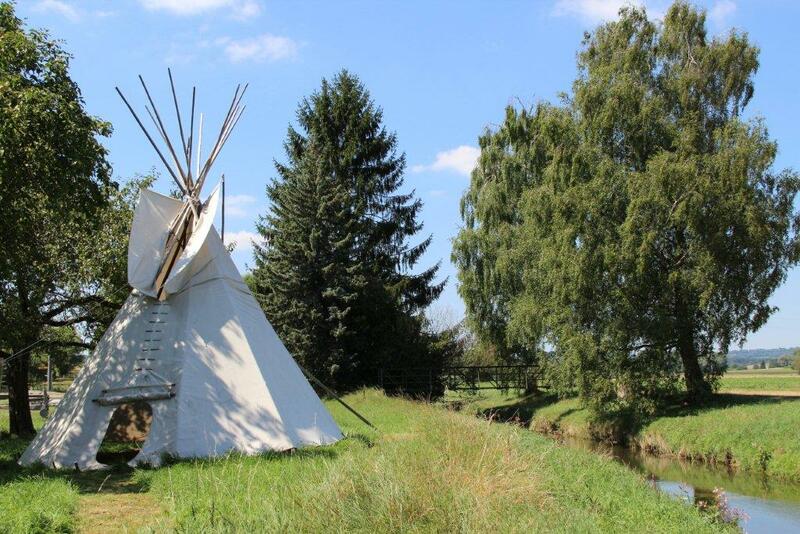 We offer you the option for a party/event either in our tipi, on the haystack or outdoor on our grasland next to the creek. Of course, your event is organized according to your wishes, but we also have some ideas and suggestions for you. In addition to the haystack and the outdoor area our new big 8m Tipi can be booked for an event. The big advantage of the donkey farm is, that regardless of the weather an optimal alternative is available for your event / festival. Weather permitting, you make yourself comfortable outside on the lawn, close to the donkeys, rabbits and turtles. In case of rain and / or when it gets colder you may use the haystack with the heated lounge and / or our tipi. space as at the conventional party tables. Depending on your needs you may rent the desired parts of our donkey farm or our complete infrastructure for hours, days or a weekend. - Birthday party. 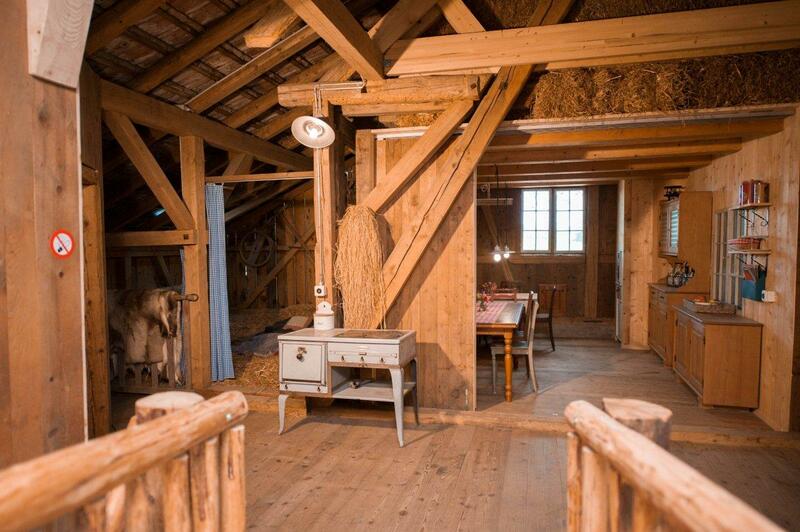 You spend a cozy dinner outside by the creek, in our tipii or indoors in the hayloft. - We cook an outdoor fondue at the fireplace creekside on an open fire. Coffee and dessert in the hayloft, the tipi or outdoor. - We cook for you risotto and sausages at the fireplace by the stream or in our tipi on an open fire, as side dishes we recommend different salads. Coffee and dessert in the hayloft, the tipi or outdoor. - You take the food / the caterer with you. The required power supply is available. 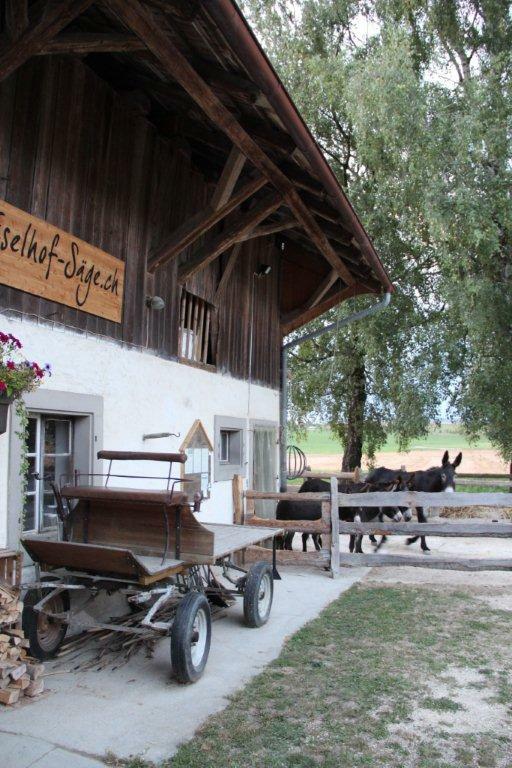 - Caterer: we recommend the Catering from the butchery Villiger in Stein am Rhein. - A ride on the trailer of our tiny tractor (no seats, just wooden cot, space for about 20 persons). - Childcare: We take the children together with the donkeys on a tour (with or without lunch/snack) - that enables you some rest time. You are welcome to combine your event/party with an overnight stay. We can accommodate up to 30 persons (Tipi, straw and 4-bed room) - for details go to Lodging.